It is half a century since the first edition of Sportsnight with Coleman appeared on tv screens and transformed the way sport was covered. PHILIP BARKER reports. Manchester City League champions and England knocked out in the semi-finals by a team from the Balkans. Sound familiar? In fact the year was 1968. Croatia was part of a combined Yugoslav team and the competition in question was the European Championships. 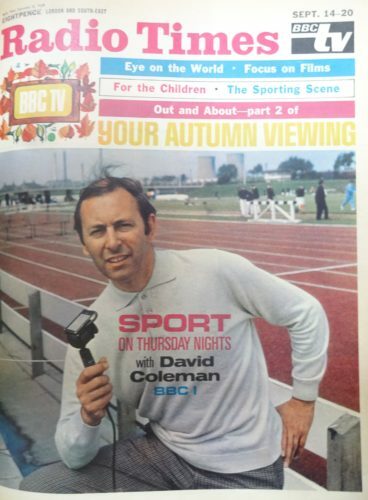 It was transmitted on a Thursday at 9.05pm on BBC 1 and presented by David Coleman, television’s Mr Sport. The first edition of Sportsnight with Coleman opened with what was to become familiar theme music by Tony Hatch. The staccato opening bars were meant to convey the chatter of the teleprinter and along the bottom of the screen ran the ticker with the night’s headlines. There were highlights of Don Revie’s Leeds United against the Hungarians Ferencvaros in what was then known as the Inter-Cities Fairs Cup, an interview by satellite with the one and only Muhammad Ali and a scoop. Long jump champion Mary Rand announced her retirement only weeks before the Mexico Olympics. “I won’t just be interviewing people about what’s happening in sport, I’ll be interpreting the news myself,” said Coleman, then at the height of his powers. Fiercely competitive, he forecast “a potentially huge audience” for his new programme. In the first few weeks there was plenty for him to get his teeth into. European Cup holders Manchester United travelled to Argentina for what turned into the first of two brutal matches against Estudiantes de la Plata in the World Club Cup. Football and boxing were the staples of Sportsnight which soon switched to Wednesday night. It wasn’t just football that made the headlines. Political protest formed a backdrop to the Olympics and then there was the D’Oliveira affair and cancellation of an England cricket tour to South Africa, the first meaningful sporting boycott of the Apartheid movement. The production team drew on Fleet Street’s finest including Sam Leitch, later to become head of BBC TV Sport. “I see no reason why sports stories can’t be treated in the same way as say Panorama,” he said. Over on the other side, ITA (Independent Television Authority) had new franchises. 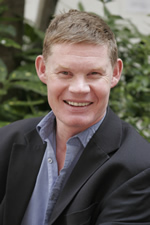 Their production team included Frank Keating, later to make his name with The Guardian and the much-respected SJA President John Bromley. 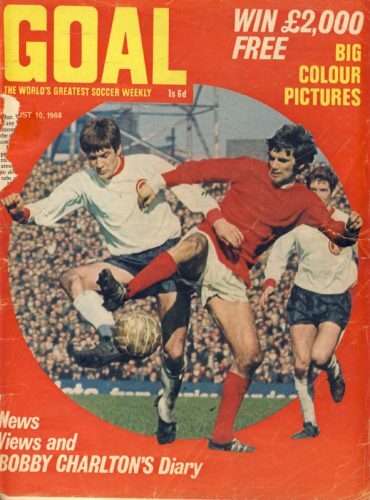 Rather strangely the 1968-9 season was a couple of weeks old when the first edition of the Big Match hit the screens. Mindful perhaps of its younger audience, Brian Moore’s programme often included funnies, one was a sequence where Bobby Moore and Jimmy Greaves linked arms as if dancing in the centre circle at White Hart Lane. The start time of 2.30 was perfect for the football-mad seven year old whereas the late night Match of the Day was well and truly out of bounds. In those days there were no video recorders and certainly no early morning re-run. In print many towns still had a football final and souvenir special editions for the new season were keenly awaited, partly because they had colour pictures, a rare treat in those days. There was colour, too, in a new football magazine which appeared that summer. It came from the same Fleet Street stable as Charles Buchan’s Football Monthly. Goal‘s unique selling point was that it was weekly. Price: one shilling and sixpence (7 ½ pence). FIFA President Sir Stanley Rous wished Goal a large circulation to carry the gospel of football as far and wide as possible. 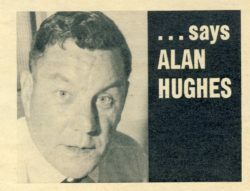 The editor was Alan Hughes who became chairman of what was then still known as the Sports Writers’ Association in 1978. The first centre-spread colour team group was of Liverpool, who were destined to dominate for much of the next two decades. They had an outspoken manager even then. A chap called Bill Shankly. What would now be regarded as sound bites are still revered to this day. Bobby Charlton was the star columnist and his first article contained the startling revelation that he was retiring..
Goal just about outlived Charlton’s playing career but not by much. In 1974 it merged with Shoot.